Lace Up Closure. No Zipper. Depending on Availability. Hooks & eyelets might come in either Silver or Gold. 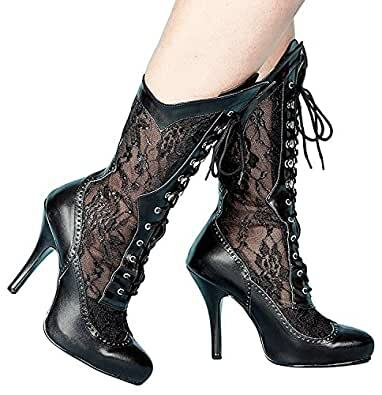 Plus Size Wide Calf and Width Mid-Calf Boots with Lace Up Closure.